Oscar predictions: How Right Was I? Two days ago, I posted my Oscar predictions. So how right was I? Look at the table below and see. The result: I got eight out of ten correct, with the other two as possibilities. Not bad. So have a look at our picks below. Some are consistent – but remarkably few, and in fact I don’t think that there is even one category we four all agree on. That means we may still have some excitement and uncertainty on the awards night itself. 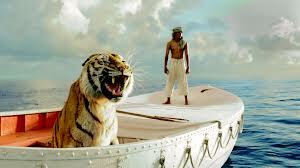 Best film Life of Pi Argo It was a strong year for films, but I can’t believe that Argo will win. The betting says it will. A nice film, but probably something of a “revenge fantasy” about Americans and Iran – or perhaps I am not being generous. Both the Directors Guild and the Producers Guild have selected it. Lincoln is strong, but not one of Spielberg’s best efforts, also too talky and too full of dark, smoky rooms). 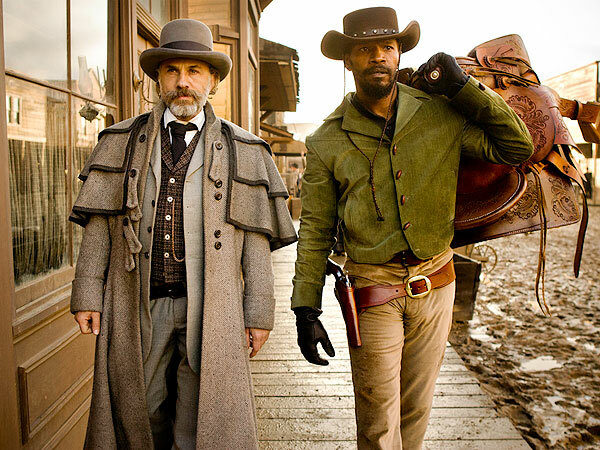 Django certainly was the most entertaining film of the year, but not the best. 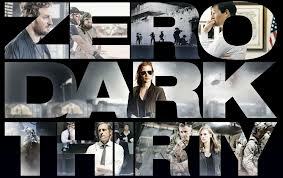 Zero Dark Thirty is superbly well-done, and in another year might have grabbed the votes; however the controversy over representation of torture surely has hurt it with some more left-leaning Academy voters. Best director Ang Lee Ang Lee For my money, Life of Pi was truly the most accomplished film of the year, and Ang Lee should win best director. He might – or may get pipped by Spielberg. Ironically neither Ben Affleck (Argo) nor Kathryn Bigelow (Zero Dark Thirty) were nominated; both would have been strong contenders. Best supporting actor Christoph Waltz Tommy Lee Jones Don’t get me wrong: I love Tommy Lee Jones’ performance in Lincoln, but the most unusual and engaging performance of these five is surely Christoph Waltz (Django). The problem is his role was not really a supporting role: his screen time was almost as much as his co-star Jamie Foxx, and surely he had more actual dialogue than most of the “best actor” nominees. Best actress Jennifer Lawrence Jessica Chastain I liked Lawrence in Silver Linings Playbook, a lot. But there was a stillness and a self of strong emotional core to Chastain’s character which made it so memorable. She could still win, but the betting seems against her – perhaps fall-out from the torture controversies. Best supporting actress Anne Hathaway Anne Hathaway No contest here. Adams and Field were strong (Hunt and Weaver not really contenders in my view), but not close. Only problem: Hathaway should have had lots more screen time, but that’s the way the role was written. Best cinema-tography Life of Pi Life of Pi Many people may be confused between the truly delightful special effects in Life of Pi and the actual cinematography, but the seamless blending of the two of them just shows how good that cinematography actually is. The Los Angeles Times agrees with me. 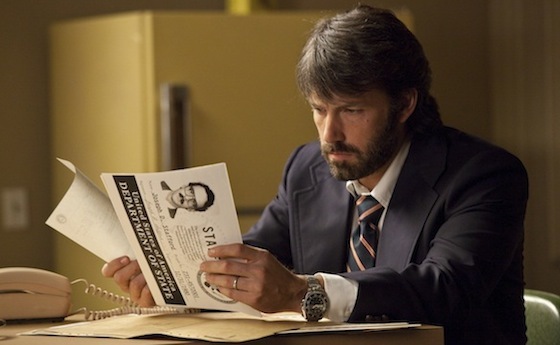 Best adapted screenplay Argo Lincoln Chris Terrio won the Writers Guild award; surely he will win the Oscar. It’s a good screenplay, but Lincoln (despite its wordiness) was the unusual achievement. Best film Beasts of the Southern Wild Argo Everyone’s stunned Affleck has a brain in his head. Responding to discovery with too much enthusiasm. Best director Michael Haneke Steven Spielberg Finally he gets one. Haneke is a genius. Best actor Bradley Cooper Daniel Day-Lewis Awesome bearding. Best actress Jennifer Lawrence Jennifer Lawrence Jessica too new, Quvenzhane too young, Naomi in too cloying a pic about rich people. Best original screenplay Amour Moonrise Kingdom Wes Anderson finally plucks the heartstrings. 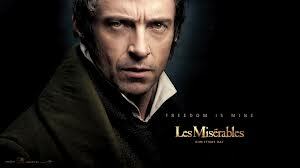 Best film Lincoln Lincoln This has been a remarkably solid year. At least half of the films could have easily taken the Oscar if the others weren’t as strong. I think Lincoln is head and shoulders above the rest, though. Best director Steven Spielberg Steven Spielberg An Ang Lee coup wouldn’t surprise me, though. Best actor Daniel Day-Lewis Daniel Day-Lewis No real dilemma here. Best supporting actor Philip Seymour Hoffman Christoph Waltz, or possibly Tommy Lee Jones This category is pretty wide open, but I think Academy members will go the way of the HFPA and honour Waltz. Best actress Quvenzhane Wallis Jennifer Lawrence or Jessica Chastain Wallis is too young to win, but her performance was definitely this year’s most remarkable. Best supporting actress Anne Hathaway Anne Hathaway Probably the only win one can be completely sure of. Best original screenplay Moonrise Kingdom Django Unchained ZD30 is a remarkable piece of writing, but its controversial depiction of torture will probably doom it. Best Document-ary Searching for Sugar Man Searching for Sugar Man The two Israeli contenders (The Gatekeepers and Five Broken Cameras) are both really powerful and important. But Searching for Sugar Man is the better movie. Final note on Oscar predictions: If you are interested in the statistical analysis of who will win by noted American political pollster (538.com) Nate Silver, go to his 22 February 2013 post in the New York Times here. This is the guy who correctly predicts almost every US Federal election in the last five years, and kept telling us that Obama was going to win, when the rest of the world doubted that. He gives his predictions (based on his usual statistical and objective analysis) in a straightforward and most convincing way. Interested in how successful my picks were? Click here to see the results. 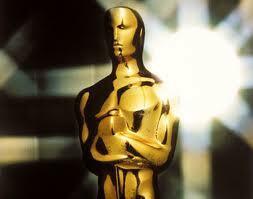 The Sunday night (USA; Monday mid-day here in Sydney) Oscar ceremony is always great. Want to read (and listen to) a fabulous ode to how Billy Crystal used to do his Oscar medley? Click on Rachel Shukert’s article – and downloadable song with lyrics attached (February 22nd, in the online Jewish Tablet magazine) – making fun of the ten movies up for “best picture” at this year’s Oscars. Great fun. But one warning: Shukert includes a number of plot spoilers. The second awards ceremony of the Australian Academy of Cinema and Television Arts – known as the AACTAs – was held here in Sydney on 30 January and broadcast on Channel Ten. Host Russell Crowe and AACTA President, Geoffrey Rush, were joined on stage by Cate Blanchett and Nicole Kidman to honour the year’s best achievements in Australian film and television. The big story of the night was the virtual awards sweep by the film The Sapphires. Based on a true story, this film tells the tale of four lively young Aboriginal women who form a musical troupe and travel to Vietnam in 1968 to entertain American troops. It has been described as “toe tapping”, “uplifting”, “energetic” and “feel-good”, and achieved an astonishing 93 percent positive rating by film reviewers, according to the Rotten Tomatoes aggregation website. 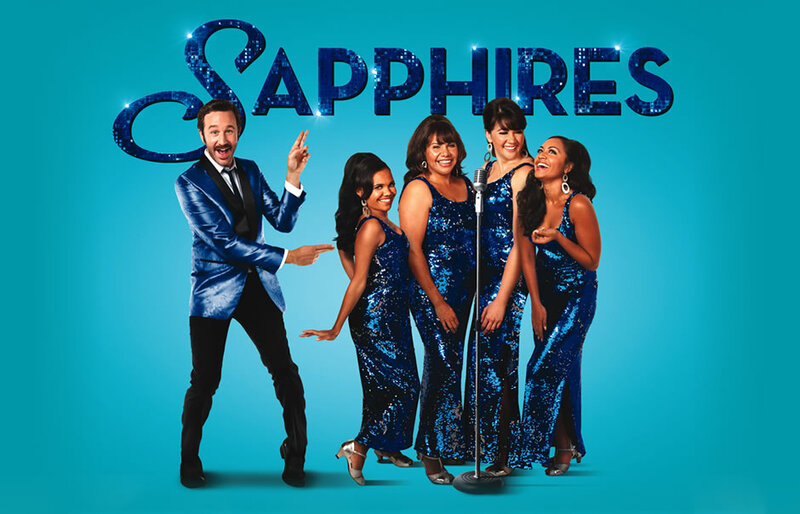 The Sapphires took home a total of eleven AACTA awards, including best film (producers Rosemary Blight and Kylie du Fresne), best direction (Wayne Blair), best adapted screenplay (Keith Thompson and Tony Briggs), best lead actor (Chris O’Dowd), best lead actress (Deborah Mailman) best supporting actress (Jessica Mauboy), and best cinematography (Warwick Thornton). Indigenous screen stories almost swept the drama awards that night. In the television drama category, the ABC Aboriginal series Redfern Now won two AACTAs – for Best Screenplay in Television – Aboriginal writer Steven McGregor – and best actress in a Television Drama – Aboriginal actress Leah Purcell. Thus a total of seven Indigenous screen award winners this year. Is this an Australian record? I think so. The film’s producers have hidden it well. There is not one Yiddish phrase, not one mention of the word “Jew”, no characters wearing Stars of David on gold or silver chains around their necks and no mentions of Chanukah, Passover or Yom Kippur. Their last name is “Brewster”, a good Anglo-American name if there ever was one. But at its heart, the new film “The Guilt Trip” knows what it really is: a story about an over-bearing, over-concerned and over-communicative Jewish mother (Barbra Streisand as “Joyce Brewster”) and her struggling-to-find-himself adult son (Seth Rogen as “Andy Brewster”). These two Jewish acting stars – Streisand still going strong at age 70 and Rogen one of the new “Jewish brat pack” – anchor this film, together in almost every scene. Joyce Brewster still lives in New Jersey when son Andy flies in from Los Angeles to visit her as part of a quest to market his special biologically sustainable (and even drinkable with “FDA approval!”) cleaning fluid that he has invented but is unable to sell. In a moment of concern, Andy invites his widowed mother to join him on a cross-country trip to visit distributors and outlets – thus the film’s tag-line: “3000 miles, 8 days, 1 mother of a road trip”. But Andy’s real goal is to bring his mother back in contact with her first love, a man now living in San Francisco, and thus re-spark her interest in romance. With such star power, it’s a shame “The Guilt Trip” does not deliver more humour and entertainment. Director Anne Fletcher specialises in middle-brow romantic comedies (“27 Dresses”, “The Proposal”), but is working with an under-developed script by Jewish writer Dan Fogelman. New Jersey-born Fogelman reportedly based the story (originally entitled “My Mother’s Curse”) on a real-life road trip that he took with his mother Joyce (to whom the film is dedicated). But real life does not always translate well to the screen, and Rogen – who is truly one of America’s hottest new comic actors – seems strangely subdued on screen, frequently angry with his over-expressive mother but lacking some of his patented hilariously comic riffs. “The Guilt Trip” arrives with a number of other Jewish pedigrees: British-Jewish actress Miriam Margolyes appears in an early scene playing one of Joyce Brewster’s friends. And all three producers are Jewish: John Goldwyn is a son of the famed Hollywood film producer Samuel Goldwyn; Lorne Michaels is the Israeli-born creator of “Saturday Night Live”; and Evan Goldberg (“Superbad”, “Pineapple Express”) is a frequent comedy partner of Seth Rogen. You are currently browsing the Don Perlgut's Blog blog archives for February, 2013.